Chrysler Service and Repair in Holly, MI | Armstead Automotive - Armstead Automotive Repair and Service Inc.
Chrysler owners in and around Holly know the place to go is Armstead Automotive Repair for the best auto repair services around provided by well-trained and highly experienced auto mechanics. At Armstead Automotive Repair, we pride ourselves on delivering the very best customer service experience possible. It’s one of the things that gets us out of bed every morning! That and, of course, some good coffee. Help yourself to a good cuppa joe while you're waiting for your Chrysler unless you need to be someplace else, and in that case, we can help with that too! We genuinely care about the well being and safety of our customers, and it shines through in all we do. As a family-owned business, we only have to answer to our mother as far as the bottom line, and since she taught us to treat others as we wish to be addressed, you know that you and your Chrysler are in excellent hands. “Awesome Job! We have taken our daughter's truck there many times for service and have always been happy with their work. BTW...Great place to buy tires too!” -- Richard B. When you need an auto repair shop you can count on in the Holly area, Armstead Automotive Repair is your go-to solid! We have an excellent reputation for being able to fix problems that other shops find too challenging, and we back our work with a 3-year/36,000-mile in-house warranty and a 2-year/24,000-mile nationwide to give you that extra peace of mind. We pride ourselves on standing behind our work and for being there for our wonderful customers. 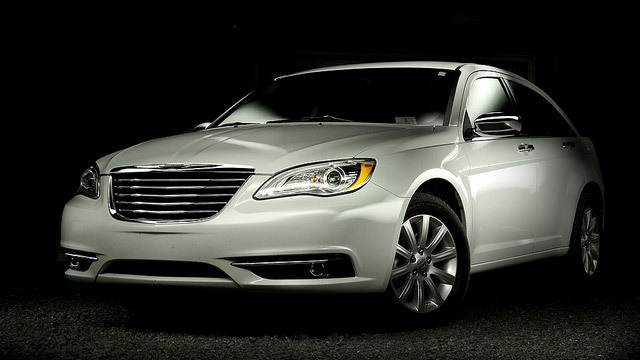 Schedule an appointment today for Chrysler service and repair. We are conveniently located at 15310 Fish Lake Road, Holly, MI 48442. Our hours are 8:00 AM - 5:30 PM, Monday - Friday.